PSD file with vectorized contents for scalability. 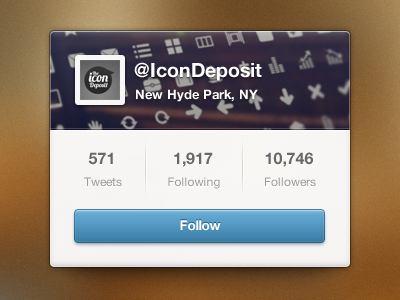 Twitter Follow UI is a free UI design resource made by Dribbble user Matt Gentile. As far as I can tell, its license is Creative Commons Attribution.